Learn how to create a schedule template from scratch. Choose a task to promote or sub-promote. Click the right arrow to promote it to parent or the left to make it a child. To add a task in the middle, use the two icons third and fourth from the left. The icon on the left inserts a task above the one currently selected. The icon on the right inserts a new task under the one currently selected. By default the new task will be a child of the selected one – use the left arrow to make it a sibling instead of a child. You may want to make tasks dependent on others. For example, ‘proofreading the manuscript’ is only possible after ‘copyediting’. 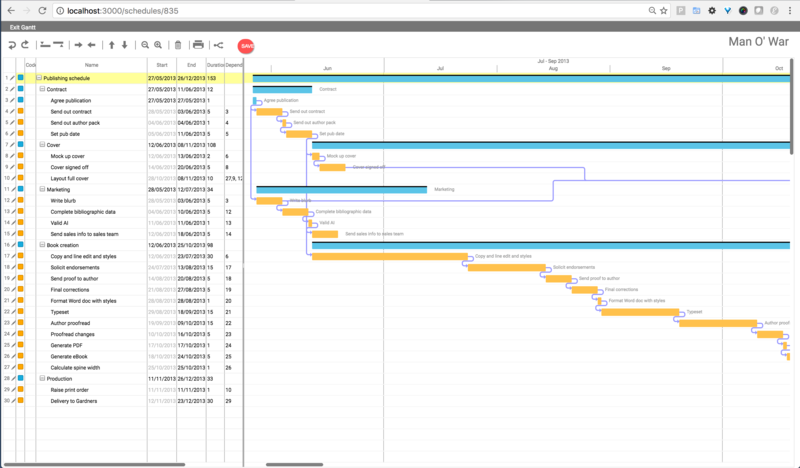 The benefit of the Gantt chart is that it makes this clear. In a Gantt chart, dates can either move automatically (due to dependencies between tasks) or be set in stone as milestones. Fix either or both of the start and end dates for any task. Please see these instructions to create a complex schedule from a complex template. 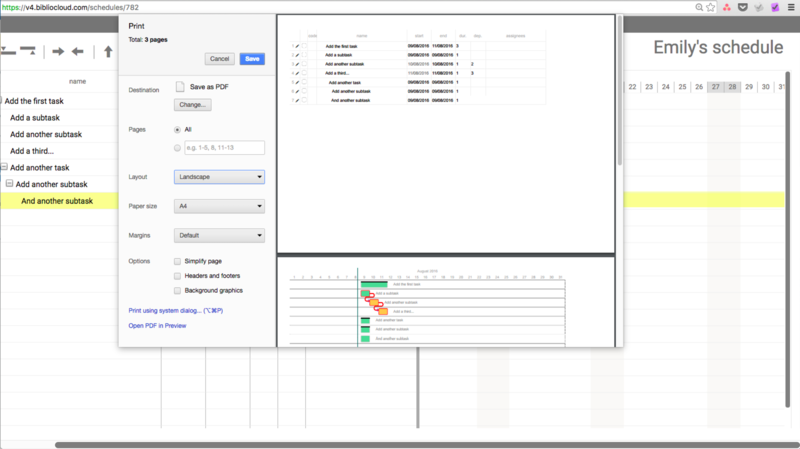 The chart appears on two pages: one for the task list and another for the Gantt display. No matter how large your Gantt chart is, it can only be printed on two pages (it won’t separate out any further). 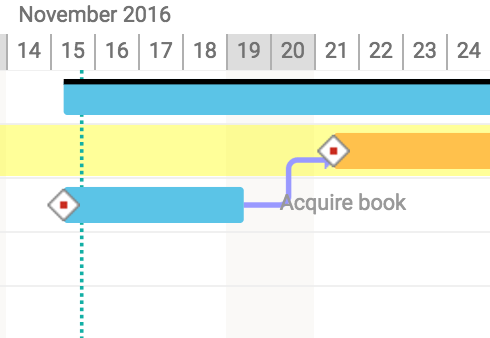 Click the zoom out icon a few times until your entire Gantt chart is visible on the screen. Choose your printer and the ‘landscape’ option and press print.